Earlier this year, a heartbreaking drama played out near Vancouver Island. An endangered orca named J35 carried her dead calf for weeks in an apparent mourning ritual captivating onlookers around the world. But lurking just beneath that story was another tale of devastation. The decline of southern resident orcas has been linked to a drop in the number of Chinook salmon. We are witnessing the extinction of species and the decline in biodiversity all around us. The question for policy-makers is: What can we do to stop it? As a political scientist and geographer, I study wildlife conservation policy. Specifically, I am interested in how values and norms shape perceptions of land and other living things. Do Canadians care about biodiversity loss, and are they willing to pay the costs necessary to reverse biodiversity loss? Species decline is occurring rapidly, and the number of species on endangered lists is growing. Researchers recently developed a formula that would allow wildlife agencies to prioritize endangered species recovery plans based on the size of the investment and likelihood that a species would meet its recovery goal. But the approach is based on the premise that we cannot save all species from extinction, and that we should focus only on the ones that have a real chance of recovery. It’s neat and tidy, if a bit callous. It’s practical and economically efficient. If agencies were to apply this formula, society would no longer make large investments in species with the lowest likelihood of recovery. As an example, the study went on to look at the grasslands in southwestern Saskatchewan – one of the most endangered ecosystems on Earth. This area, which borders the United States, houses 15 species listed under Canada’s Species at Risk Act (SARA). The formula’s output is grim for almost all of the birds, mammals and amphibians entered into the equation. Only two of the 15 species “have a better than 50 per cent chance of recovering when no funding is provided.” By investing in specific management strategies, the prairies might hang onto two more species. And with $125 million invested in five management strategies spread over 20 years, 13 of the 15 would likely recover. The bottom line is, saving the burrowing owl from extinction is a lot of conservation dollars for a low chance of success. That money could be diverted to a species with a better chance. Sorry, owl. But it is just simple math. From a policy perspective, the problem is not the sheer cost of saving an owl. The problem is a lack of sound public policy that adequately responds to the problem of habitat loss and fragmentation – the number one thing driving species decline in Canada. The federal government passed the SARA in 2002, but the policy only applies to federal lands, migratory birds and some aquatic species. While the federal government does manage a significant amount of land in the three territories, not much land across the provinces falls under federal jurisdiction. In Saskatchewan, it’s less than four per cent. Essentially, the SARA applies to a small fraction of Saskatchewan land. The provinces have the main regulatory authority over land in this country. Only six provinces have stand-alone species-at-risk legislation. Four provinces, including Saskatchewan, have no such policy. The grasslands species are in trouble not because their survival costs a lot now. They are in dire straits because no government in the past 100 years has done anything to ensure their survival. The concern is that this new formula will allow provincial governments to keep dodging their responsibility to protect habitat. If a species is “too expensive” to save, it’s OK to move on with oil development (fracking), potash and uranium refining. That’s what the Saskatchewan government will say: We did the math and the numbers don’t add up in the owl’s favour, so we are going to frack here instead. Cost will be the excuse. Everyday landowners and citizens will hear that message loud and clear. So will industry. We should not triage species at risk according to the cost of saving them. We should ask provinces to do the dirty work of creating and fostering stewardship of private and public lands. This will not be easy. It will not be cost-free. But in the long run, it will be efficient. The amount we can spend is finite. We do have to make hard choices. But we do not have to under-fund habitat protection. Saskatchewan’s government did not have to sell off public lands over the past decade, but it did. The province has a neo-liberal government that doubled down on the oil industry and then cut conservation dollars and sold public land when oil started to go belly up. 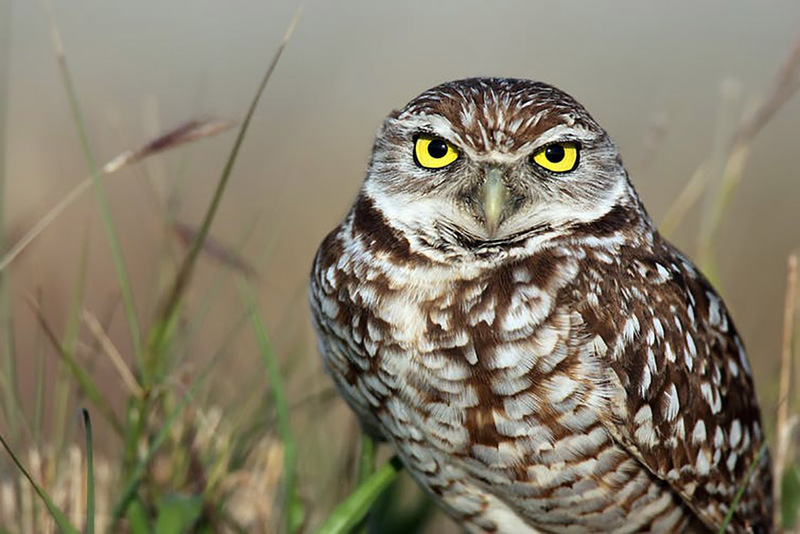 It should not be the reason we give up on the burrowing owl. Or why we let salmon and orcas disappear from the West Coast. Andrea Olive is an associate professor of political science and geography at the University of Toronto Mississauga.